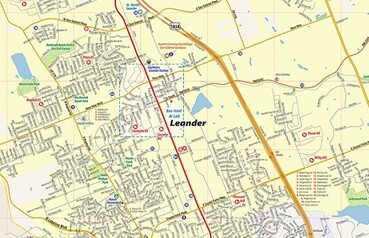 Leander offers Texas Hill Country living near the Austin metropolitan area. Scenic landscapes, abundant wildlife and waterways are common sights enjoyed by Leander residents and visitors. Quality of life is very good in Leander and one of the many reasons people relocate here. 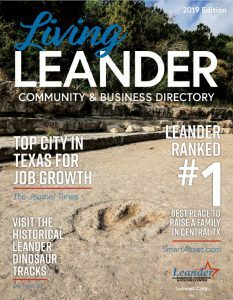 Leander was recently named the fastest growing city in the state. Access to the Hill Country and proximity to Austin creates many opportunities for artistic, entertainment and recreational pursuits. The Leander Independent School District has an excellent academic reputation. The University of Texas and Austin Community College are the two largest (out of seven) institutions of higher education in the region, and Leander is home of its very own Austin Community College campus. Leander is also served by a growing number of medical centers including Saint David’s Medical Center, Cedar Park Regional Medical Center, Baylor Scott & White, Georgetown Medical Center, and North Austin Medical Center. Capital MetroRail offers comfortable, friendly and reliable service Monday through Friday between Leander and downtown Austin. Location, climate, population, strong government and economic development, excellent schools, transportation and low taxes, combined with sincere Texas hospitality, all contribute to the popularity Leander continues to enjoy in both residential and commercial growth.